The 1946 NCAA Men's Division I Basketball Tournament involved 8 schools playing in single-elimination play to determine the national champion of men's NCAA Division I college basketball. It began on March 21, 1946, and ended with the championship game on March 26 in New York City. A total of 10 games were played, including a third place game in each region and a national third place game. Oklahoma A&M, coached by Henry Iba, won the national title with a 43-40 victory in the final game over North Carolina, coached by Ben Carnevale. Bob Kurland of Oklahoma A&M was named the tournament's Most Outstanding Player. 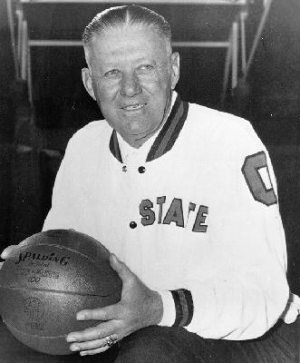 This was the first tournament to have four teams advance to the final site, though not the first to have a true "Final Four" format (that would not occur until 1952). The two regional losers played in the national third-place game, while the two winners played for the championship. Big Bob Kurland, who had led A&M to an NCAA championship in '45, was back for his senior year and the Aggies, once known for their deliberate style of play, were now scoring points with a very unIba-like abandon. 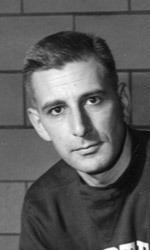 Paced by Kurland, who led the country in scoring (58 points in his final game against St. Louis), A&M went 12–0 in the Missouri Valley, 28–2 in the regular season and 3–0 in the NCAAs. They beat North Carolina in the final, 43–40, as Kurland, winning his second straight MVP award, outscored the Tar Heels' Bones McKinney, 23–5.